When the summer night is soft and black and a soundtrack of crickets runs in the background, some backyards are blessed with fireflies. They glimmer like tiny sprites or flashes of magic against the darkness. I used to sit in our walk-in closet for hours, watching them through the screened window. They are living smiles. 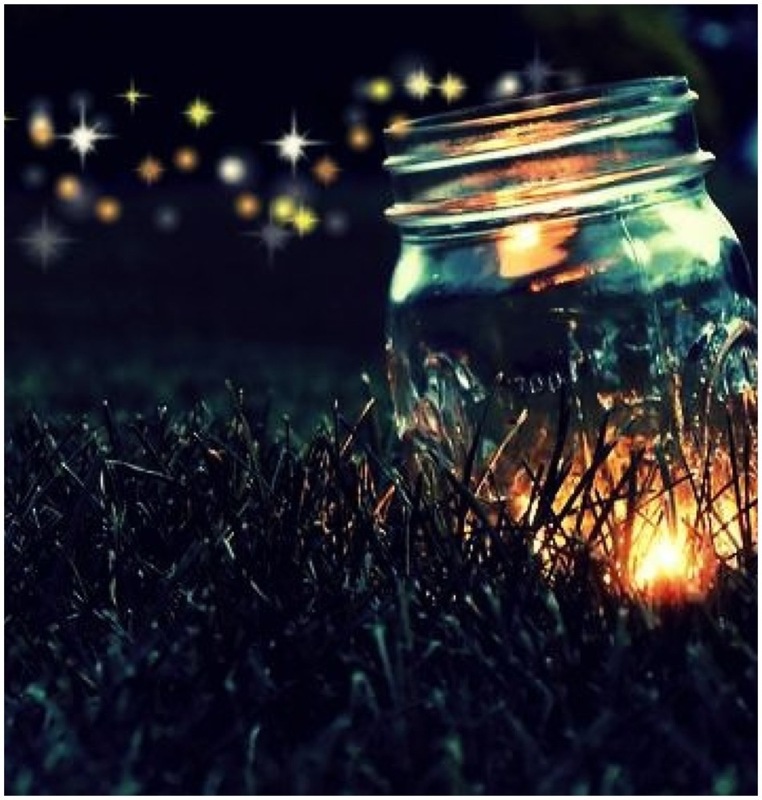 Fireflies remind me that my life has been punctuated with the presence of people who worked the same kind of charm for me–people who sparkled for a moment when I needed a glimmer of hope. They aren’t meant to be crutches or fixtures. Their light isn’t bright enough to illumine the way. They must move on their own journey. They are the unexpected sweet words, gentle touches, and acts of kindness that defied gloom. Some may return over and over. Others happen only once. I try to remember to thank the fireflies in my life–friends, neighbors, co-workers, students, family and strangers here and there. I hope they know how important they have been to me. They counterbalance the human swarms, the mosquitoes of life. I try to remember to be a firefly when I can–or maybe the song of a mockingbird, or the funny push-ups of a lizard or the soft kiss of a butterfly. Each part of the world has its own special expression, if we don’t work too hard to kill it. This entry was posted on July 4, 2014 by Personal Journeys with Gramma in Musings and tagged Connections, Expression, featured, Fireflies, Generosity, Hope, Kindness, Living Smiles, Magic, Musings, Relationships, Spirit, Sprites.